Newly-elected president Nunzio Antignani has lavished his players with praise as Ħamrun Spartans put on a resilient performance to grind out a goalless draw against Valletta on Sunday. 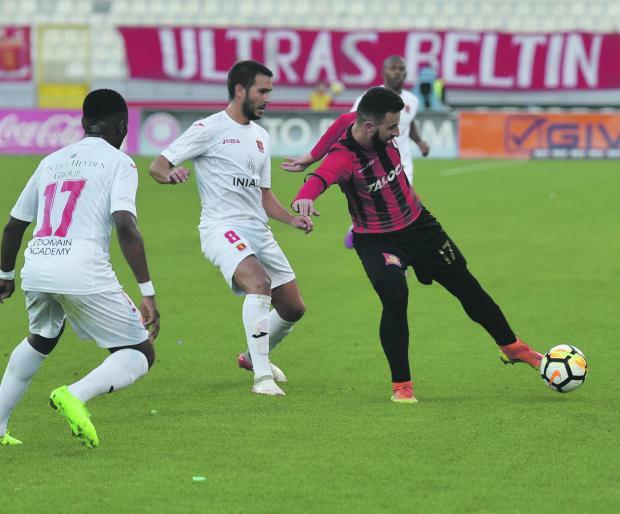 Seventh-placed Spartans came into the match against former leaders Valletta with a negative record against the Premier League front-runners this season, having just one point to show from their clashes against the top six sides in the division. However, on Sunday, the Spartans showed all their resilience as they managed frustrate their more-quoted opponents with a tactically diligent performance to earn a merited point. “I was really impressed by the spirit shown by the players against Valletta,” Antignani told Times of Malta. “We knew that we were in for a very difficult match as Valletta are one of the best teams in the division. During the first half we suffered a lot as they put us under a lot of pressure. “But in the second half coach Jacques Scerri made a few tactical adjustments and we started to share the exchanges and surely we could have got more from the match had we exploited some favourable situations. 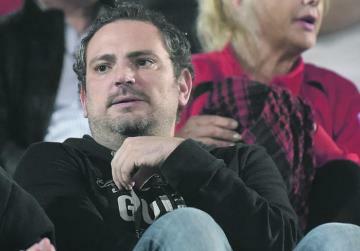 Antignani had been involved at Ħamrun Spartans since the start of the season when he took the role of vice-president after becoming the club’s major sponsor through his electro firm Talocan. However, last month the Napoli-born businessman accepted the challenge of taking over as club president from Gaetano Debattista and has put restoring administrative stability at the forefront of his agenda. “If Ħamrun Spartans aspire to make its way among the top teams on the island we certainly need to improve how the club is administered,” Antignani said. “My main goal is to bring much-needed stability into the club and to achieve that we need to change how things are done. “I firmly believe that we must have a full time administrator working at the club to bring in much needed professionalism in the set-up. “My commitment towards Ħamrun Spartans is on a long-term basis. I have another two years left as president but I will surely be happy to extend my stay if I have the backing of the club members. Antignani has already shown his ambition to transform the team into a more competitive side with the acquisition of former Italy World Cup winner Cristian Zaccardo, midfielder Marco Criaco, and striker Davide Succi, who played in Serie A with Palermo. Antignani said that he was happy with the current squad at Ħamrun but has left the door open for more reinforcements in January. “The acquisitions of Zaccardo, Criaco and Succi have certainly provided more experience to our squad and the coach has more options available,” Antignani said. Asked on his objective for the season, Antignani has set his sights on breaking into the top four. “At the start of the season, the goal was to establish the team in a mid-table position,” he said. “However, the championship is turning out to be very balanced with all teams capable of getting a result against anyone so we are eyeing a more ambitious goal. “My dream would be to see the team finish in the top four. Centenary Stadium: 7pm Birkirkara vs St Andrews. Centenary Stadium: 2pm Lija Athletic vs Ħamrun Spartans; 4.15pm Senglea vs Balzan. Hibs Stadium: 2pm Sliema vs Gżira United; 4pm Naxxar vs Mosta. National Stadium: 2pm Tarxien vs Hibs; 4pm Valletta vs Floriana.